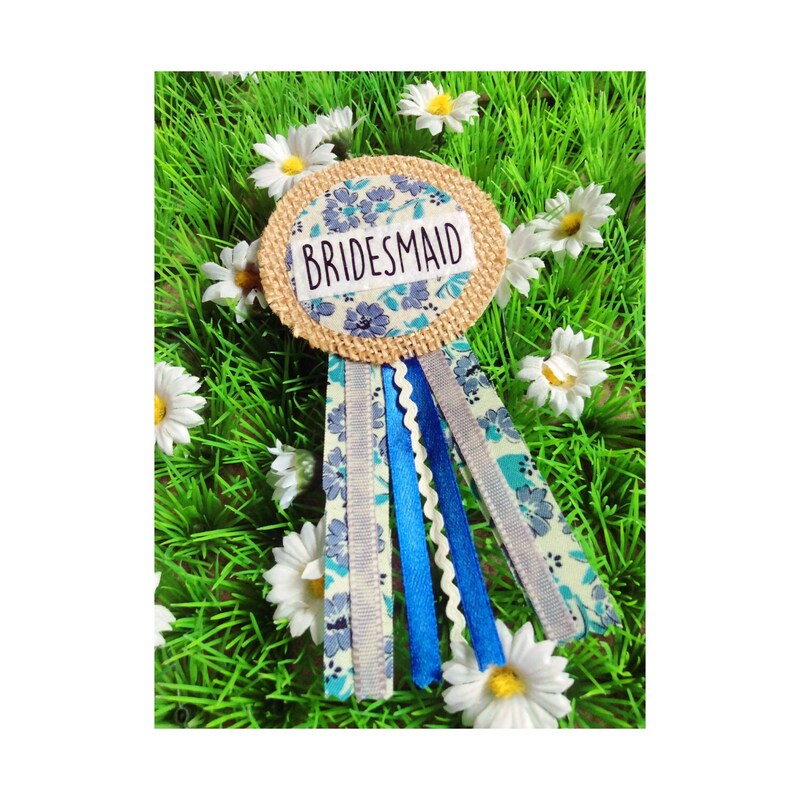 A lovely vintage style keepsake "Bridesmaid" party ribbon rosette badge ideal for a Classy bridal shower or batchelorette do. 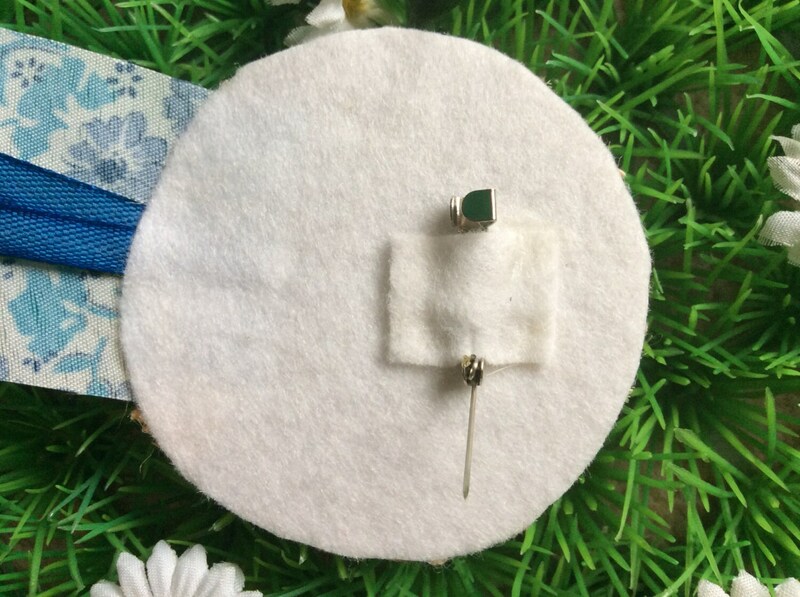 All badges are made from cotton, jute, felt and ribbon and completed with a brooch pin to fasten on the back. 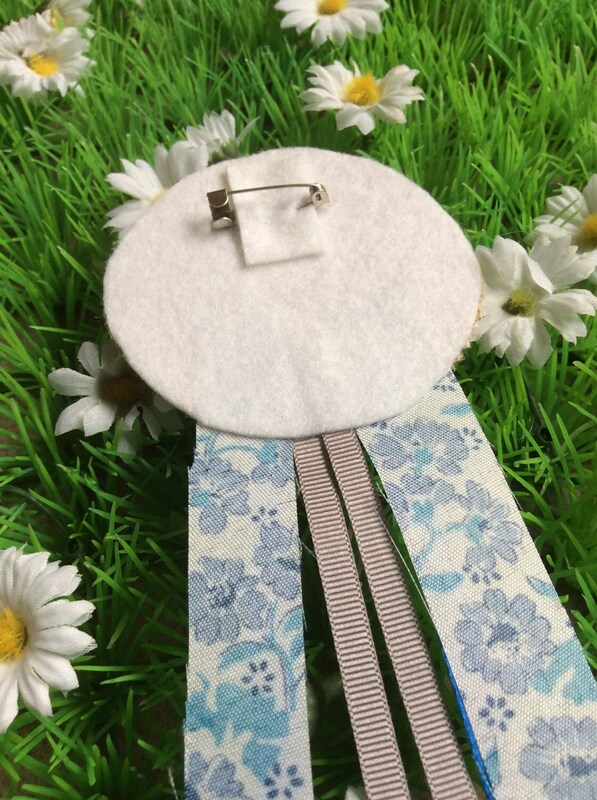 The rosette measures 8 cm in diameter and 15cm in length from top to the bottom of ribbons. All International shipping is sent by International Standard by Royal Mail. (Maximum Delivery 2-3 weeks from shipping date). PLEASE NOTE this shipping is not tracked. If you would like your item tracked and signed, please select the additional shipping option when making your purchase. 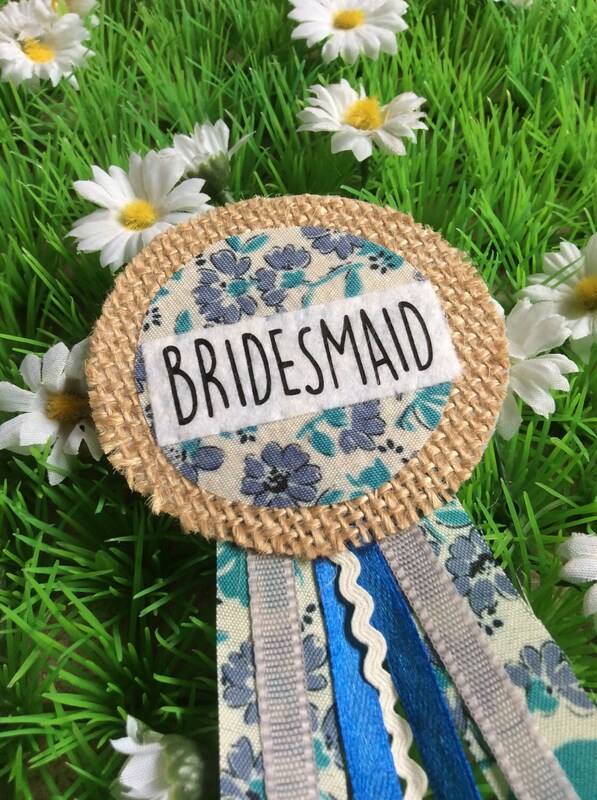 Super cute, perfect little gift ! Love it !